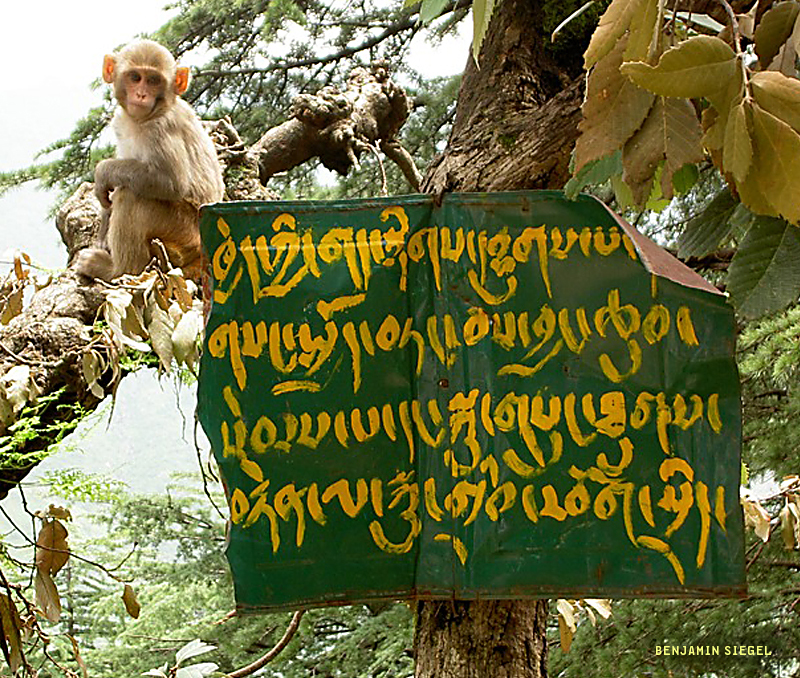 To continue the green/yellow color theme… an example of “everyday” Tibetan sign painting. 12/18 – Jo De Baedemaker, my friend/teacher/colleague from the University of Reading, who did his PhD research on Tibetan typeforms, has identified this as “dru-chen or Tsugring” style script. Visit him here: typojo.com Thank you, Jo! this sign is painted in the Tibetan ‘dru-chen or Tsugring’ style which forms the basis of the ‘dbu-med’ writing style. The calligraphic dbu-med style is written without the characteristic headline on top of the Tibetan characters.